I've mentioned products from the Great Gizmos company before - not because I was asked to, but purely because I honestly love the ranges that they stock. 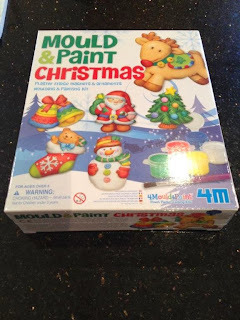 They cover everything from dress up to robots, and have several great formats which work really well as craft activities and make perfect party presents. I'm also in love with most of their gorgeous plush toys (I know where my eldest daughter gets that love from.... ). Possibly my favourite product ever (yes, THAT good!) is this little kit containing a plastic mould, bag of plaster, paint and paintbrush, string for hanging and sticky magnets. 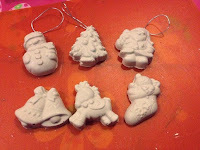 You can choose whether to make these as decorations for the tree or magnets for your fridge; we did a bit of both! 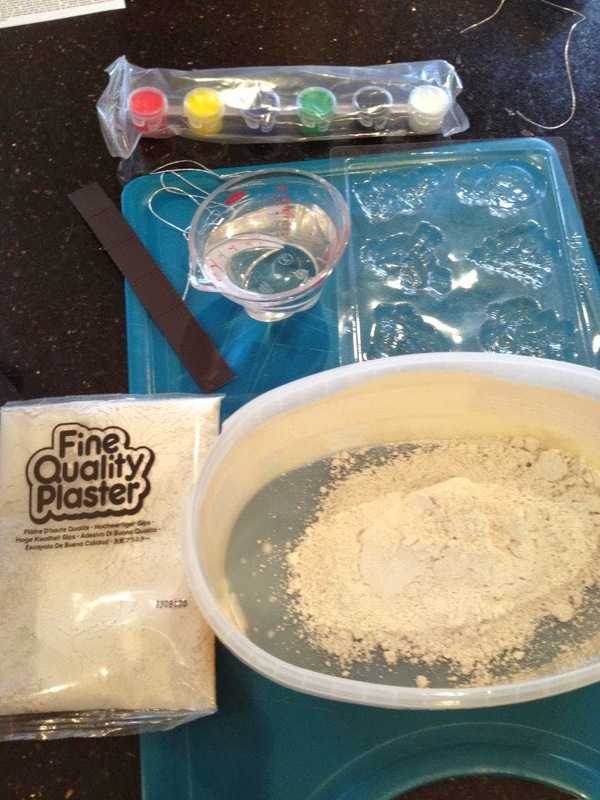 So easy to do, it involves a bit of mixing the plaster with water, pouring into the mould, leaving to set for around 30 minutes and then painting as desired. Simple! The girls love making these - there was enough plaster for 12 little ornaments, and in this pack the shapes were Father Christmas, a reindeer, Christmas Tree, a stocking, bells and a snowman. We've had fairies, cupcakes and easter eggs before now from this range, but you can also get cars, dinosaurs, sealife... they're fab! Especially at this price, and great for a gift. 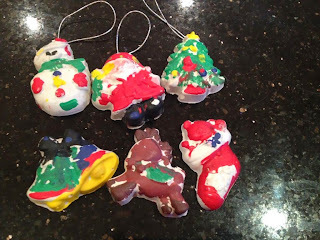 I was very pleased with how carefully Sasha painted hers, and I think the end result is definitely fit for the tree! This came well packaged so have no fear of ordering online. 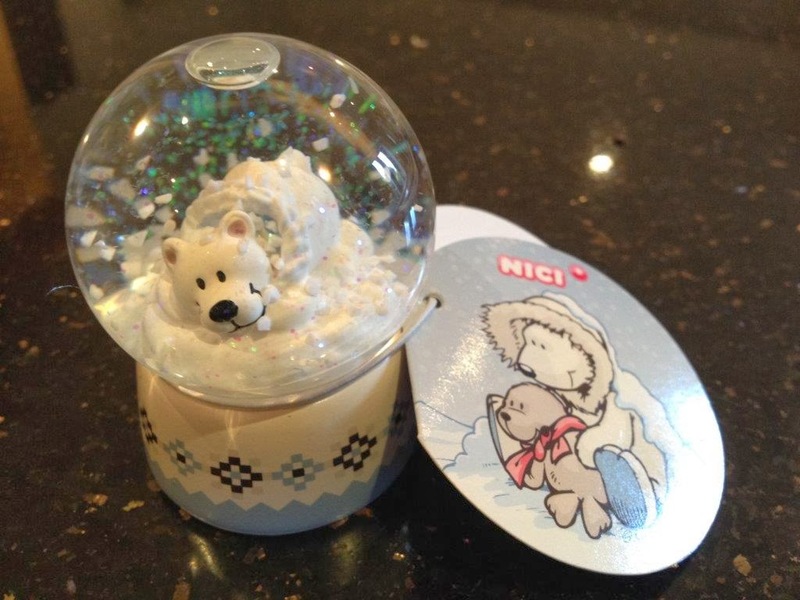 It's a lovely little item; great quality with plenty of sparkling snow glitters. These are always a hit with both my girls; would be a perfect stocking filler. There's also a Seal in the globe option. From the gorgeous Nici range of plush, this is just so cute and soft and furry! It also matches eldest daughter's new winter hat, which is a big plus. 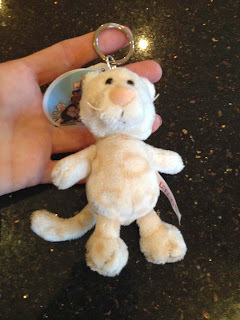 There are so many more animals in the range that your children's favourites are bound to be there too. Lions, giraffes, birds, sheep - look at the keyring section for the huge range. We sat this gorgeous pony up which means you maybe can't tell how big it is... 25cm long, and the legs dangle, hence the name! 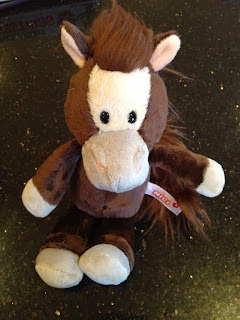 This is superior quality plush, ultra soft and strokeable so perfect for any horsey fans out there. It also comes in even bigger sizes, and other products feature this pony too. Check here for more ideas. You can see their full range and order at www.greatgizmos.co.uk. The website is as captivating and easy to use as their products, I can highly recommend it! We were sent the above product for the purpose of this review, but have not received payment. All the views expressed here are our own. That was 2013. Phew, what a year! Panto. Loads of laughs or not? Surely everyone wants to be a #MarkWarnerMum ? !